World Con is Here! And We are at World Con! 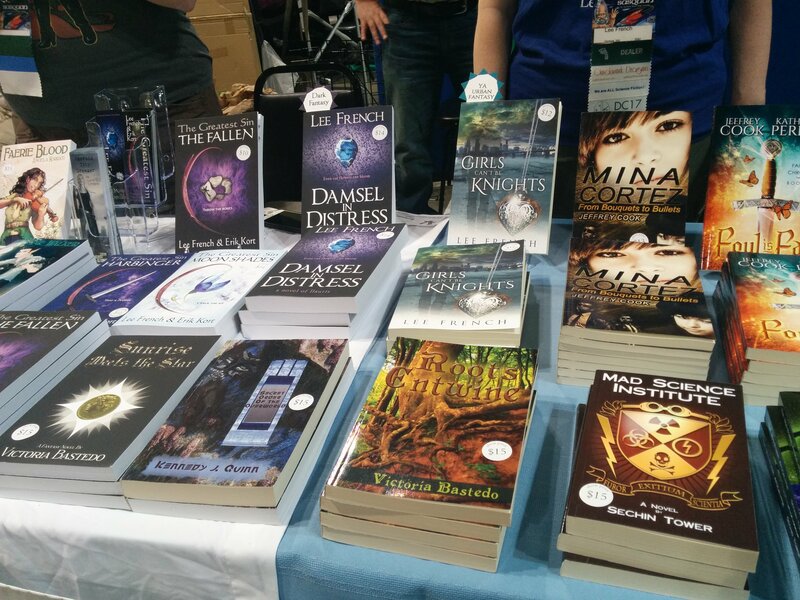 So cool of FreeValley and NIWA to be at Worldcon. 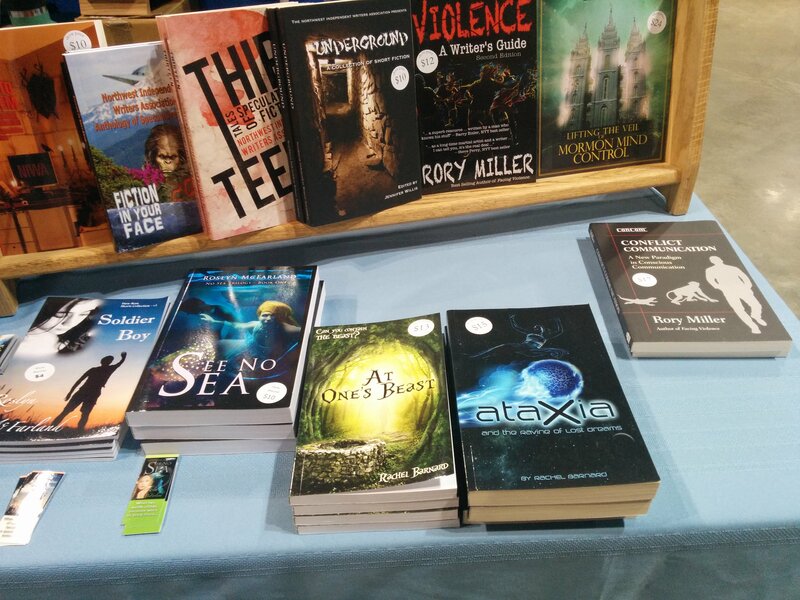 Look at all those lovely books! 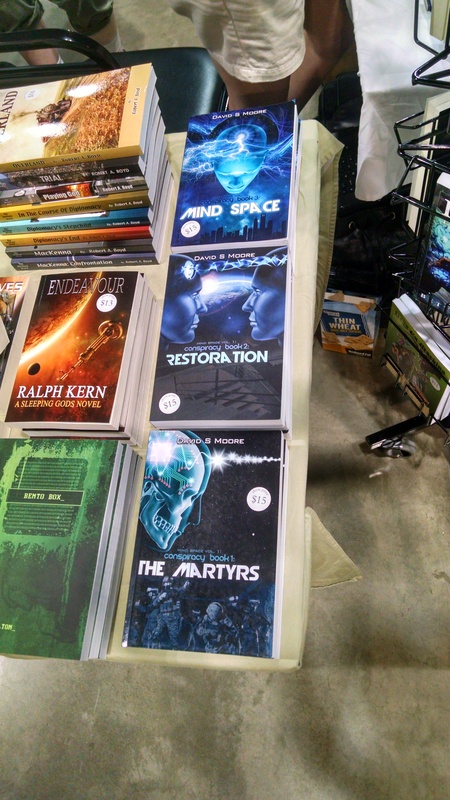 It’s exciting to have World Con, aka Sasquan, nearby in Spokane, WA this year! 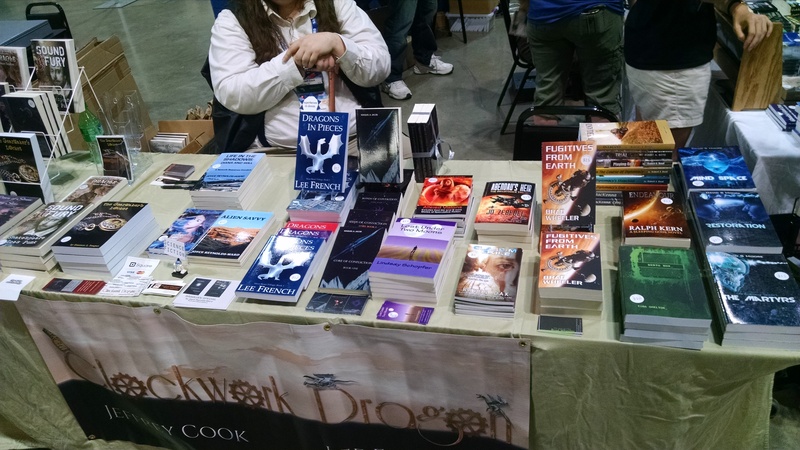 There’s a great co-operative indie author book booth at Con, so be sure and check out the titles available from talented up and coming writers. FVP author Jeffrey Cook will be there to meet you.